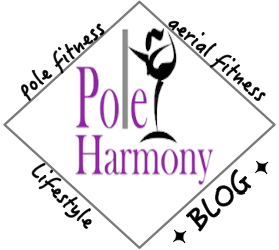 Pole Harmony: New Year, No Pole. Where to begin? It is a new year. Starting off my year with several set backs. I am on a hiatus from teaching pole/aerial due to a progressive injury. Today I met with my surgeon and it was determined that I have an injury secondary to pole/aerial activities. My surgeon said this type of injury is fairly common among Pilates instructors and apparently now, pole dancers. Taking time off has really made me take everything into perspective. It's forced me to think about my personal future in family planning, personal friendships, and career ambitions. A part of me feels as though I'm being pulled further and further away from everything I've always felt passionate about in dance. Another part of me feels it's not pole dancing I'm feeling animosity towards, it's rather more of an environmental influence. I'm dissatisfied with the direction my connections have lead me to in the community. I've lost touch with many important and influential people who have inspired and motivated me throughout the years. A disconnection that has left me feeling well, disconnected. Unfortunately, I will be out of commision post surgery for at least a month. I think in this time, I am going to rededicate myself to ballet classes and reconnecting with the dance aspect of pole dancing. I'm going to take time off from doing the tricks until I'm released to resume prior activities. Another part of me is being pulled in another direction completely. I can't ellaborate on this, however it would be an involved process and something I'm considering for a change. I guess in summary, my life and emotions about things in my life are uncertain. I guess this time will allow me to focus my energy where ever God feels my energy needs to be directed. I hope where ever this journey is taking me, is a learning experience that will help me grow and find that resolution I'm searching for. Really nice post. its amazing. thanks for sharing it with us. keep it up.